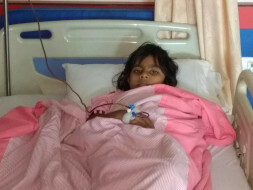 Help 8 Years Old Aishika To Fight Against Thalassemia..
"Aishika is my life. She is my only child. Every time I see her suffer so much, I feel that I have failed as a father. Yes, she is suffering from beta thalassemia major disease", says Tarun, the father. Tarun works as a private tutor earning 5000 per month while Subhra is a housewife. Things were fine after Aishika was born, but after 2 months later, she was diagnosed with thalassemia. Since then, Aishika has to undergo blood transfusion every month. She is under strict medication. "My daughter is so passionate about dancing, but we cannot let her take chance. I feel like I have prisoned her", says the mother. Her father is pleading for help. 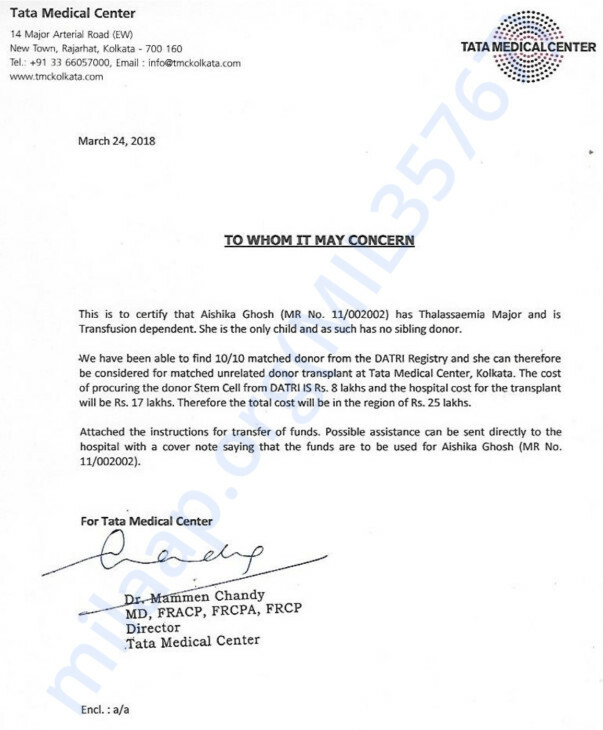 Please contribute to save Aishika. Thank you very much for supporting AISHIKA's campaign so far. Please help Aishika to survive in this beautiful world & share this campaign as much as you can. She has undergone a few tests and the doctors will be suggesting the course of action based on her the reports. Thanks and regards. Will keep you posted.